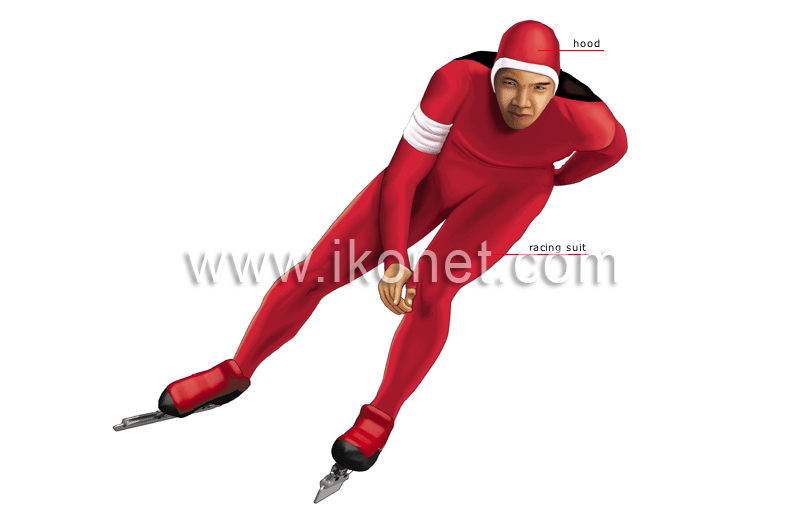 The long-track speed skater wears an aerodynamic racing suit with a hood and an armband; competitors on inside and outside lanes wear different colors. Skintight one-piece garment that reduces air resistance; short-track speed skaters wear a similar racing suit but one without a hood. Headgear attached to the neck of the racing suit; it is pulled over the head before a race to improve aerodynamics.